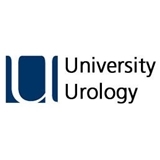 University Urology (New York) - Book Appointment Online! Our mission here at University Urology Associates is to render the absolute best in urologic specialty care to our patients through decades of experience, cutting edge technology, and medical research. When making an appointment, please be sure to include your insurance ID #. This will enable us to get you back with the doctor faster when you arrive for your appointment. Also our patient forms are uploaded on here so that you can print them out and have them ready when you get here. Dr. Provet is very professional and to the point. He does not order unneeded test and is very conservative with medication. If you need it , he will explain the benefits and draw backs and provide you with his opinion based on your medical record and your symptoms.